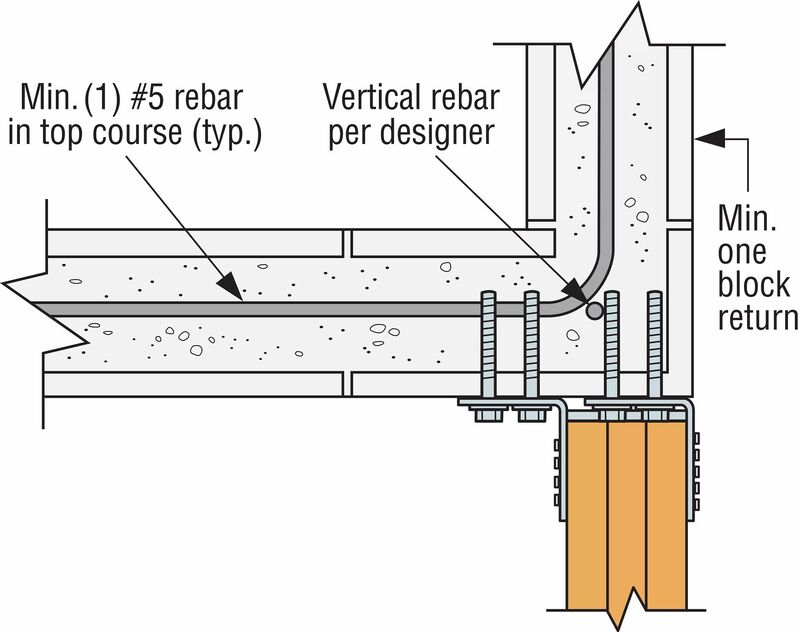 High-capacity beam or girder hangers for concrete or masonry applications. 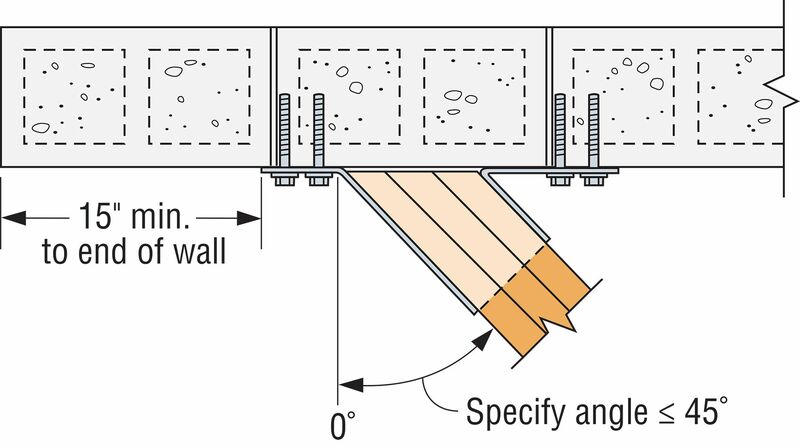 Installation is made easier using Strong-Drive® SDS Heavy-Duty Connector screws (provided) into the wood member and Titen HD® anchors (provided) into the masonry. 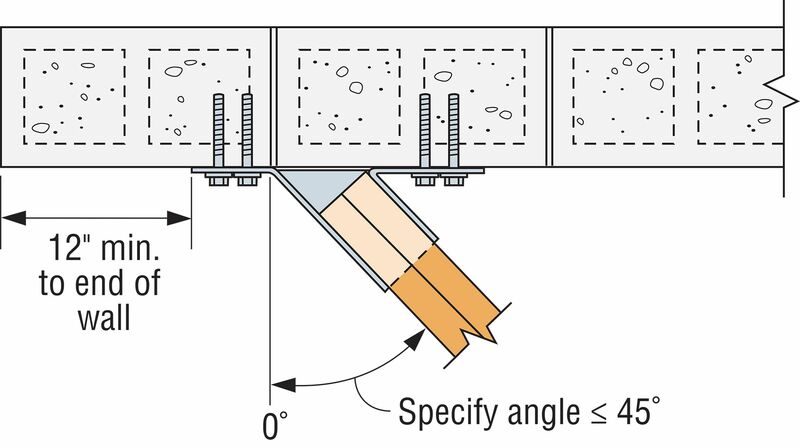 – Holes shall be drilled 1/2" deeper than the specified Titen HD length (i.e. 4 1/2" for a 4"-long Titen HD anchor). For HGUM only — Other seat widths available. Order as "X" version. HGUM available with one flange concealed. 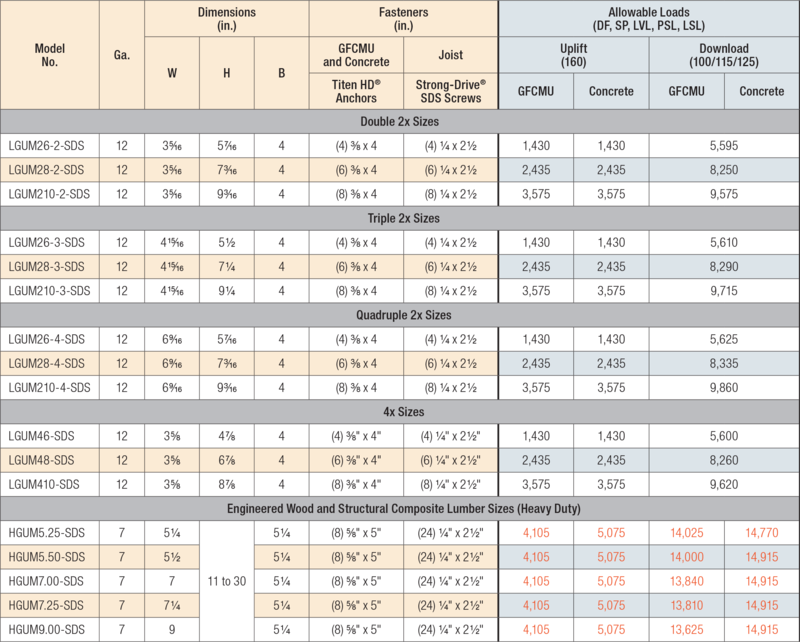 See tables for reduced load at end of wall and outside corner. 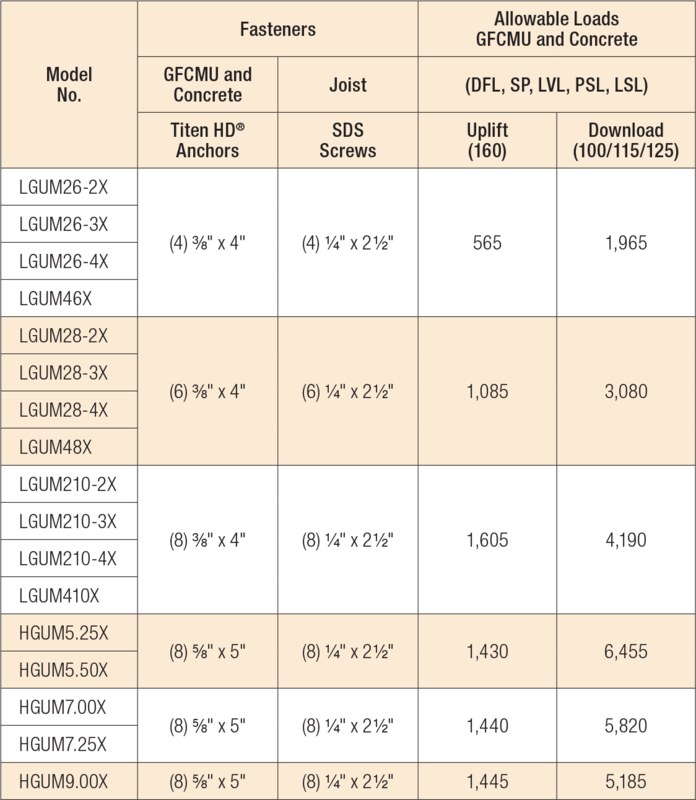 LGUM/HGUM available in skews up to 45°. See Hanger Options. Tabulated uplift loads are based on 4" minimum distance to top of wall. 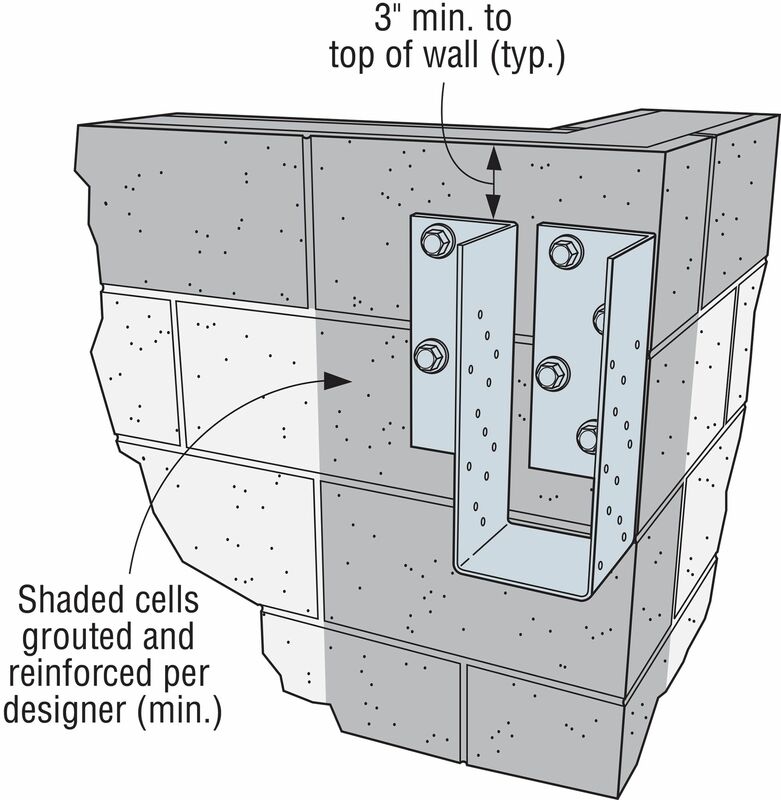 For HGUM installations with 15" minimum distance to top of wall, uplift loads are 6,180 lb. for GFCMU and 6,585 for concrete. 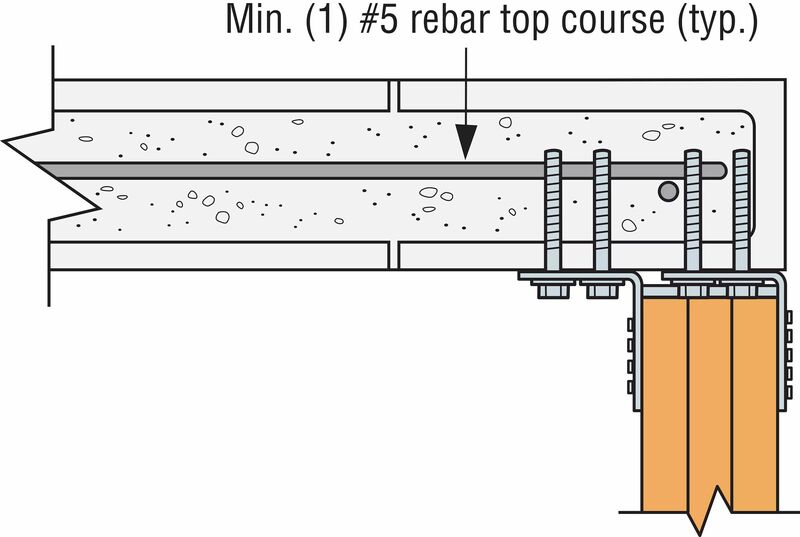 Titen HD® anchors may be installed into the head or bed joints. HGUM See specific model numbers for code listings. LGUM See specific model numbers for code listings.